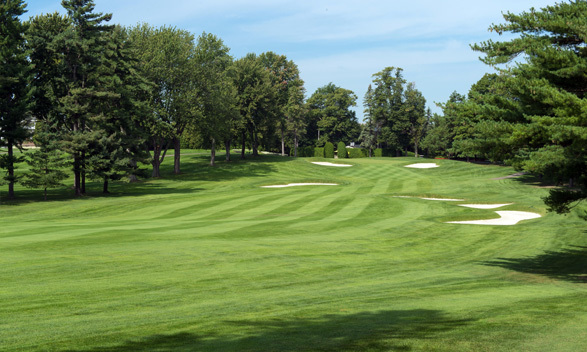 Two magnificent golf courses are the pride of the Club Laval-sur-le-Lac. 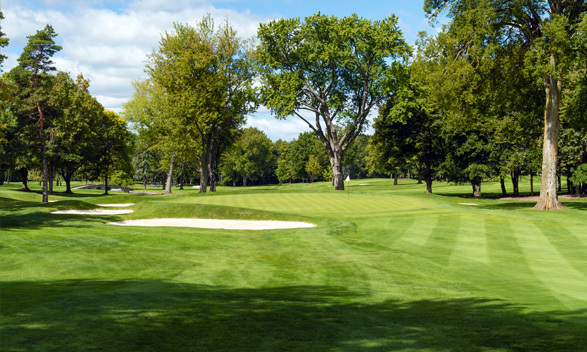 Each with their own character and challenges, they offer a unique game experience and are most enjoyable for golfers of all levels. 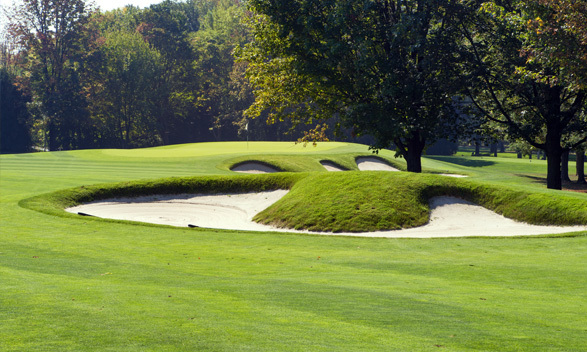 The legendary Green golf course is the work of famous architect Willie Park Jr. With a length of 6 616 yards, it offers a challenge combining all elements bequeathed by Mother Nature: a playing surface that Gary Player described in October 2009 as “unique in the world”, over rough terrain with hills and plateaus, majestic 100-year old trees, undulating and raised greens, as well as deep, strategically-placed bunkers. 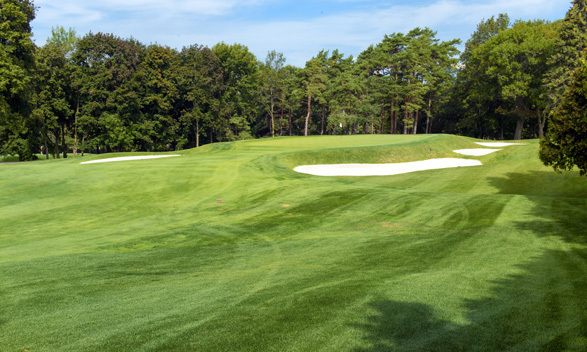 Mr. Park, a former elite player, has introduced sand traps on the sides to challenge the more experienced golfer, added a few hidden bunkers at the back of the green, and left the front of the green unobstructed to allow the casual golfer to practice his or her long shot. With a length of 7 221 yards, the Blue Course was designed by Weir Golf Design, inspired by the spectacular architecture of the prestigious courses in the Sandbelt, South of Melbourne in Australia. 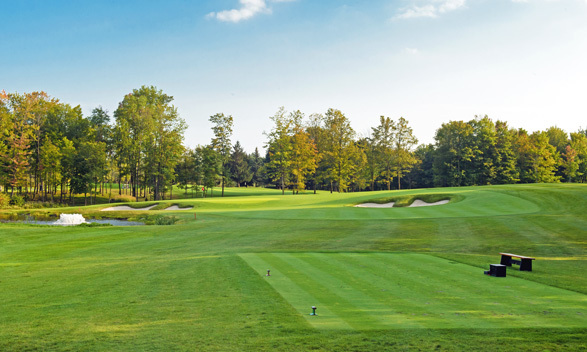 Mike Weir and Ian Andrew wanted to fully leverage the course’s rolling terrain and define the fairways with bends to reward big hitters who rise to the challenge. 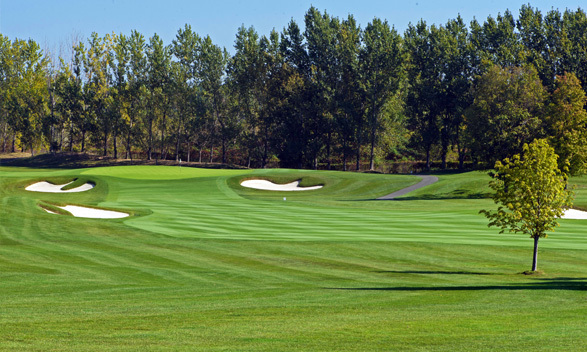 Surrounded by short grass, the greens are sloped and significantly contoured, which gives us the ability to vary our flag placement: easy in the middle and harder on the sides. The flexibility of the various levels of difficulty offers an absolutely exciting game experience.